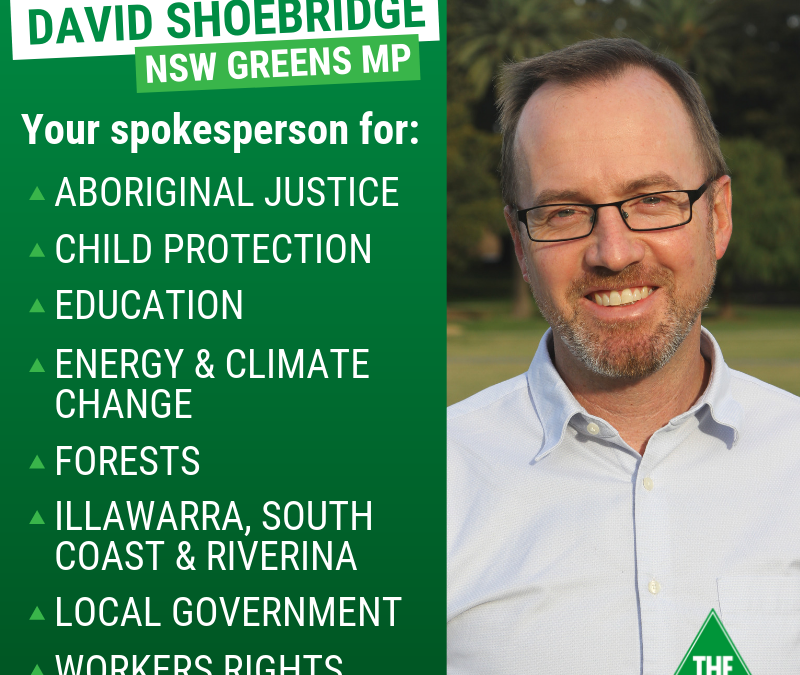 As your Greens state and federal MPs we want you to know that we are working collaboratively as a team to deliver on the key priorities of the NSW Greens and our thousands of members and supporters across the state. As a NSW Party Room we have already come together and agreed by consensus on a mix of portfolios. This is a mix that gives every one of our Parliamentary team portfolios that allow us to campaign on issues we are passionate about, take advantage of our individual skills and deliver a fair share of work. We are committed to a collaborative effort where we work with each other and with all members, to build our collective voice and create a strong team spirit in the Party Room and across the whole party. We encourage all members to work with us to achieve this. We know that by all of us working together we will be best placed to tackle dangerous climate change, protect the environment and create a fairer NSW for all and we are excited by the opportunities in front of us. Abigail, Cate, David, Jamie, Jenny, Tamara and Mehreen.